This beautiful Hayman bathroom sink vanity gives your bath an extraordinary custom look, also adds luxury appearance. The simple carved trim enhances the antique feel of the furniture. The piece is packed with exceptional details. 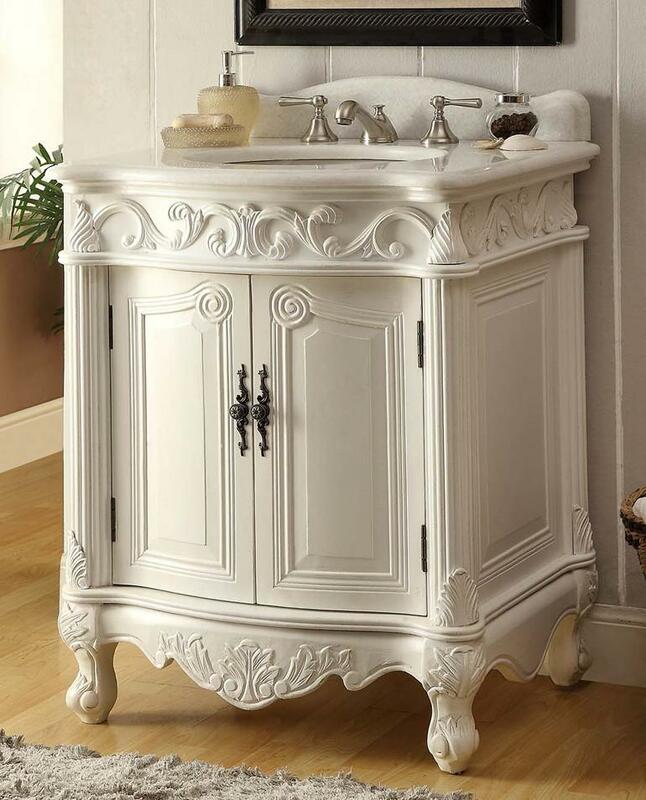 Crystal White top sits on the Antique White cabinet provides a contrast effect.